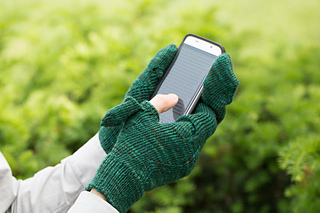 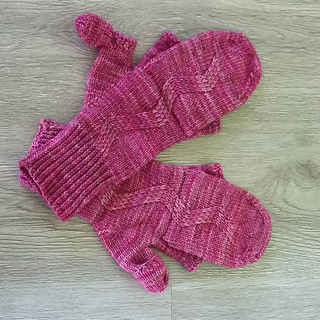 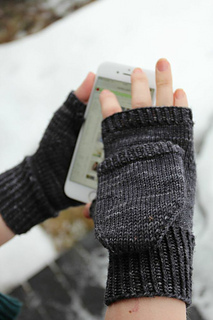 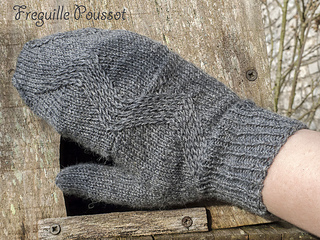 A combination of fingerless mitts and mittens for keeping warm and still being able to use your phone. 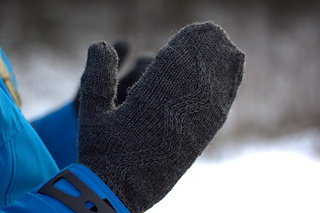 The mitts feature an anatomically shaped hood and a lightning bolt decoration on the back which hides the transition to the hood.
. : MITTS : .